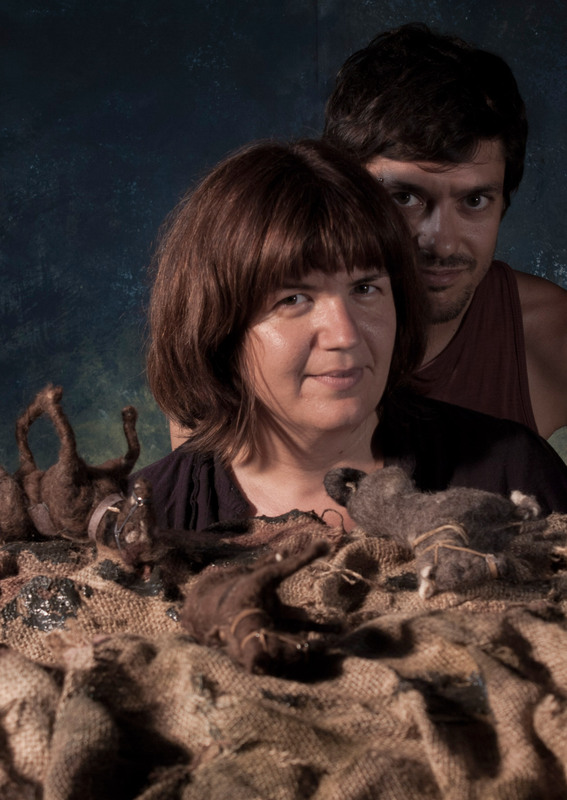 Anna Solanas (1979)and Marc Riba (1978) have been working hand by hand in the world of puppetanimation for 16 years. They have made 12 short films which have been selectedin more than 1200 festivals around the world, winning more than 150 prizes. They met each other at the Cinema University ofBarcelona. After their graduation project (“Black is the colour of the Gods”), they feltin love with working with puppets, so they create their own production company,I+G Stop Motion. They have found and developed their own style. In theirworks they pay special attention to the complex and contradictory universeinhabited by children, where innocence and imagination remain inextricablyentwined with cruelty and petty obsession.